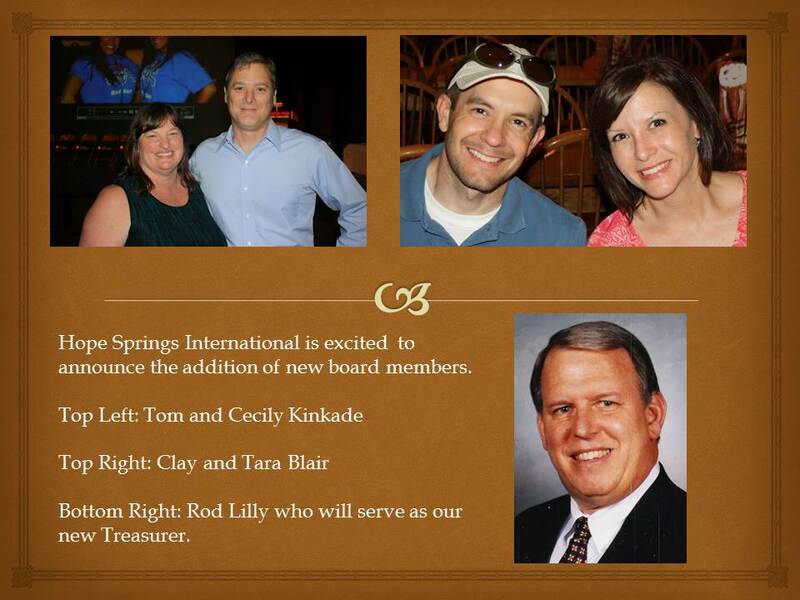 Categories: New Board Members | Tags: New Board Members | Permalink. Dedication ceremonies for new boreholes in the villages of Sansani and Powishi Mongoro were held on September the 15th. Our Director of Operations for Africa, Rambi Aayla, was instrumental in planning these successful events and filed the following report. “Sir, the events of Friday rekindled my commitment to this sacrificial service to humanity. Let me start from the activities leading to the main event of the dedication of the wells. I had meetings with community leaders in both Sansani and Powishi Mongoro for proper preparation. 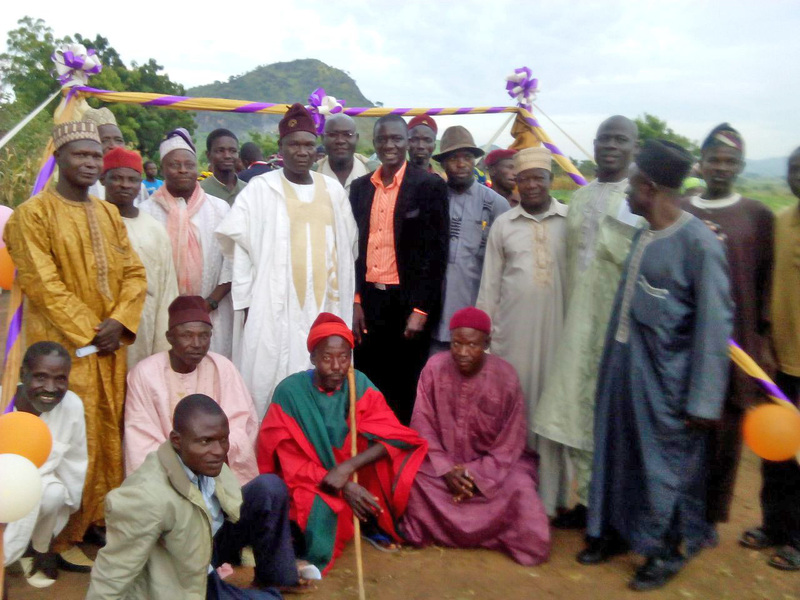 Thereafter letters were sent inviting all the dignitaries from state government officials, local government officials and the traditional rulers. 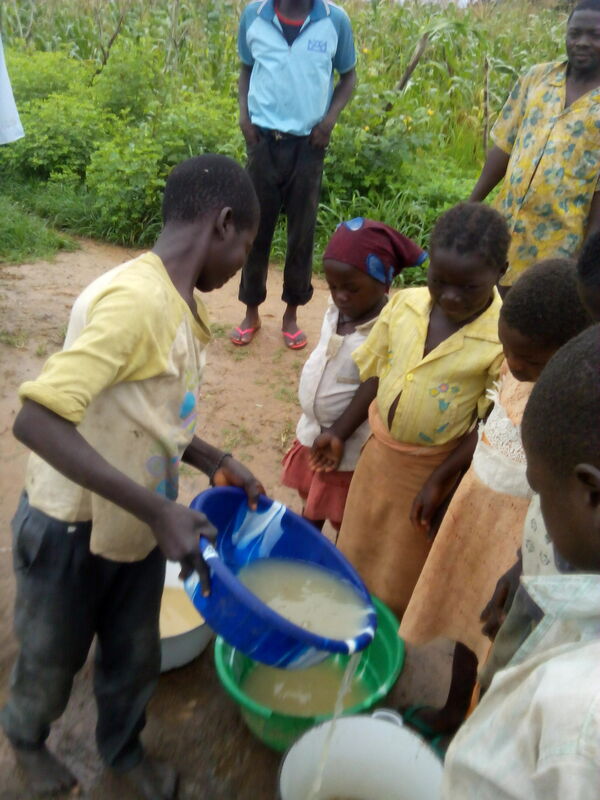 Sansani for their annual District Youth Conference, the new borehole was put to use for them throughout this period. 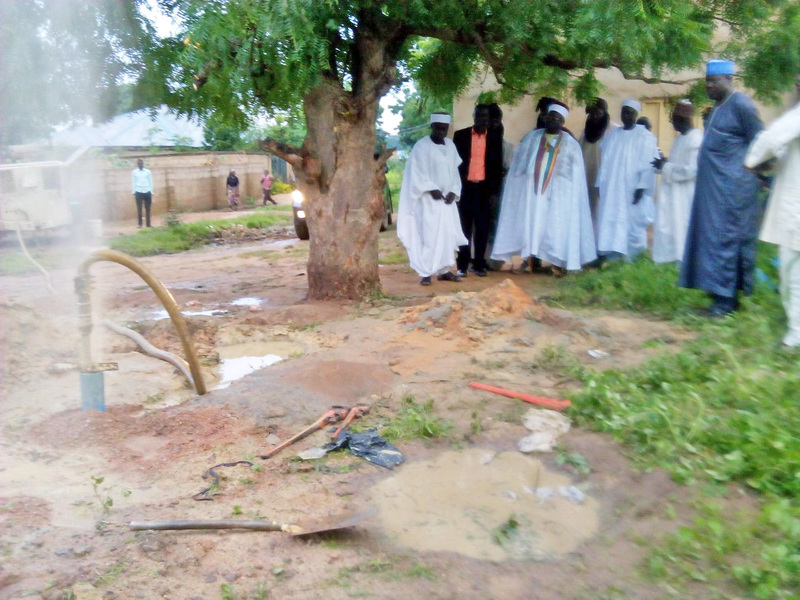 From the onset one of the reason the community leaders gave for their decision for the well to be sited within the church premises is that during such gatherings they do face a serious water challenge. It truly gladdens my heart to see that thousands were blessed by the well. Center District Head of Kalmai Mr. Zubairu Ahmadu. He is district includes Sansani Village and Rambi on the right. Church of West Africa) Rev. 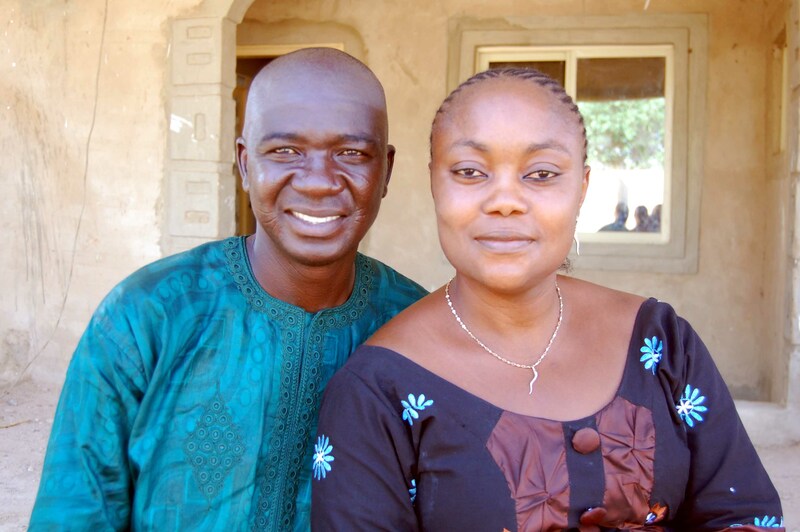 Gerson Fulani thanked HSI for providing the well, and prayed for God to bless Betty for her generous gift that made the well possible. On his part the village head of Sansani was full of gratitude for having this project started in his domain and prays that God replenish the giver’s purse. Engineer Danmatata, who is a Director in the Ministry of water resources, pledged his government’s support to Hope Springs International in her operations. 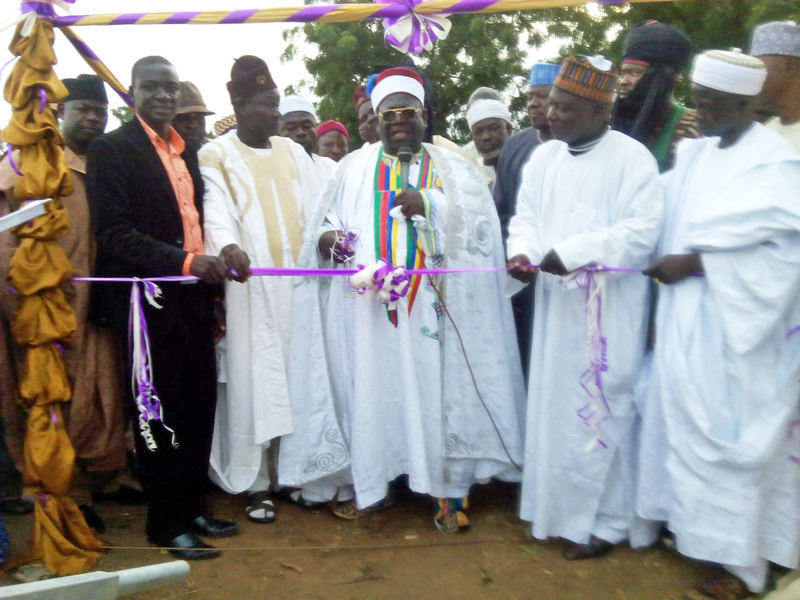 The Mai Tangle, His Royal Highness Dr. Abdu Buba Maisheru II called on the benefiting communities to reciprocate this gesture by taking good care of the borehole provided. He commended HSI for coming to the aid of the people of Sansani, and this he said will in no small measure assist in eradication of water related illnesses. He called on well-meaning citizens to emulate what HSI is doing. Drama portraying their struggles of searching for water with no available well. suffering without any reliable source of drinking water. 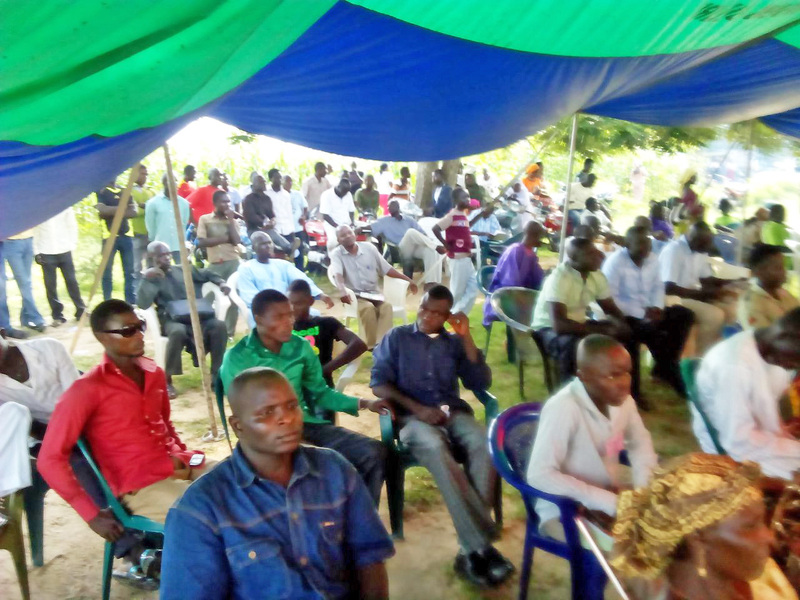 Their spokesperson Yila said taking a bath was a rarity, which it turn made it difficult for their young men to get suitors for marriage because no lady would want to come and live in Powishi Mongoro. 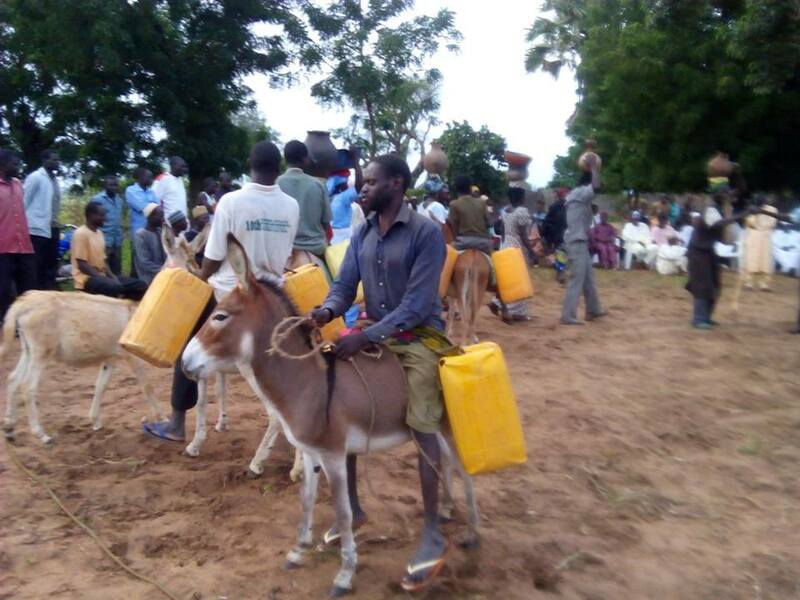 He further stated that when a lady marries in Powishi Mongoro she is given a donkey as a wedding present. This is to help her in the difficult task of searching for water that was faced in the community before the new borehole. It was a very historic and record breaking accomplishment for Hope Springs being the NGO (Non-Government Organization) that brought to an end the misery of the inhabitants of Powishi Mongoro. The area has now become a mecca of sort as many people travel to see whether it is really true that there is water in that community. Mr. Zubairu Ahmad the District Head of Kalmai whose domain covers PM could not hide his joy, he was all smiles. He did not hesitate in calling on those who left PM because of the precarious water situation to return back there. Children like Samuel, mentioned in an earlier report, are ecstatic in celebrating their new found freedom. Sadly, they will still have to be traveling for miles to attend school because they do not have one yet in the village. 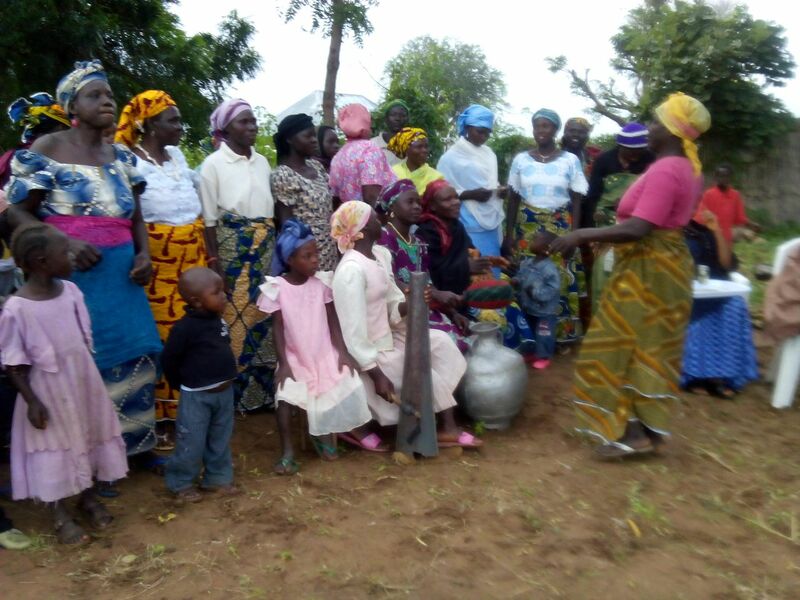 Group of women sing a song they composed thanking God for the new well. After the dedication of the second well, the group traveled to Konta, the drilling site of our third borehole. This is one of the villages that we visited during our visit in the fall of 2010. Entourage arrives at Komta Village as new well is being flushed. were successful in getting water. The entourage of his Royal Majesty met them flushing the well amidst celebration from members of the community. Like Powishi Mongoro, there has never been a borehole in Komta in its 50 year history. This is another major achievement by Hope Springs. The joy of the people is hard to put into words. Rambi Ayala and his beautiful wife Asabi who assisted him in the dedication ceremonies. Through these three wells over 24,000 people now have access to clean and safe water. We still have a number of villages where we can drill new wells for only $3,000 each which is half the normal cost for a well. This is a wonderful opportunity for a church, Sunday school, business owner or entrepreneur to bring lasting change to one more village. 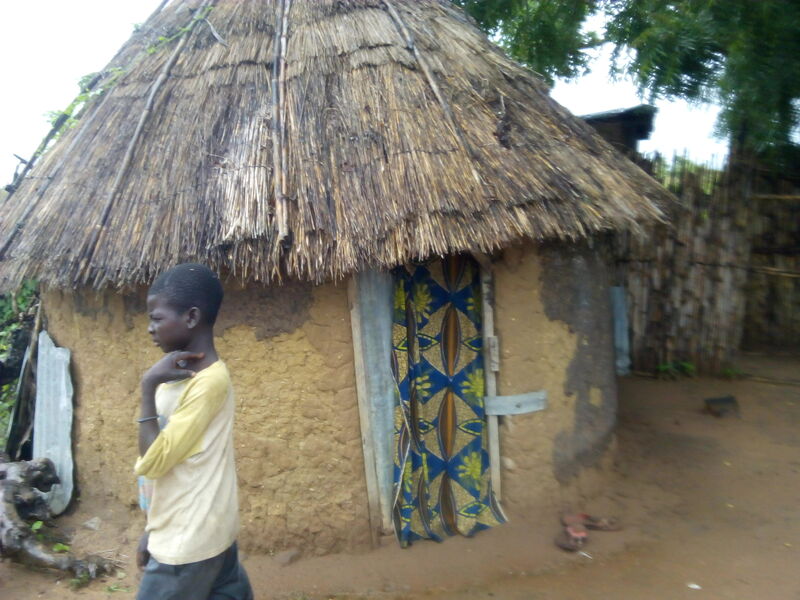 CLICK HERE TO DONATE FOR LASTING CHANGE…ONE VILLAGE AT A TIME! Michael believed that one person could make a difference in the lives of thousands of people. Michael had been exposed to the need for potable water through the web. He began to search for organizations that were working to bring clean water to people in developing nations. He narrowed his search to two or three organizations. 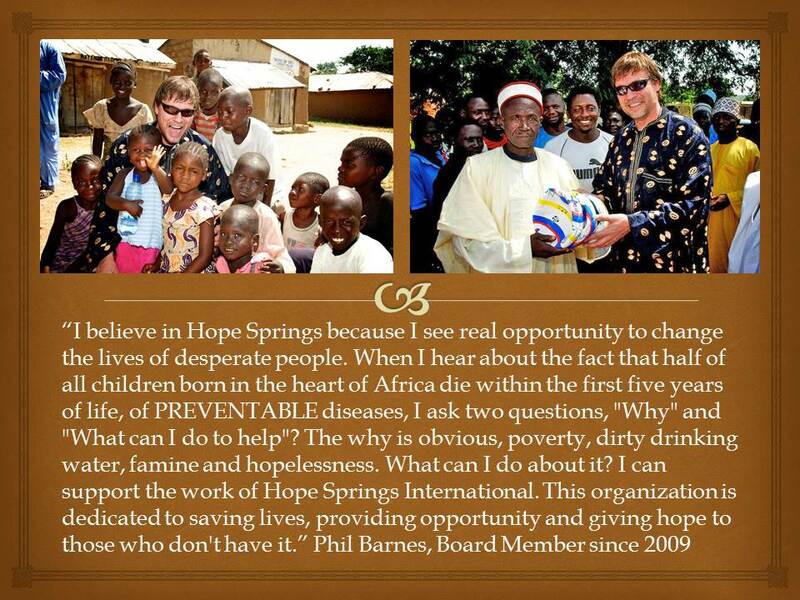 Hope Springs International was one of those organizations. Early in 2012 we met, talked and soon Michael said, “I want to work with Hope Springs and raise money to dig wells”. He set a goal and was off and running. Michael began to promote his cause through his Facebook site. He talked to his friends and family, and before long we began to receive donations. Many of those donations were from Michael personally. A new well is born! 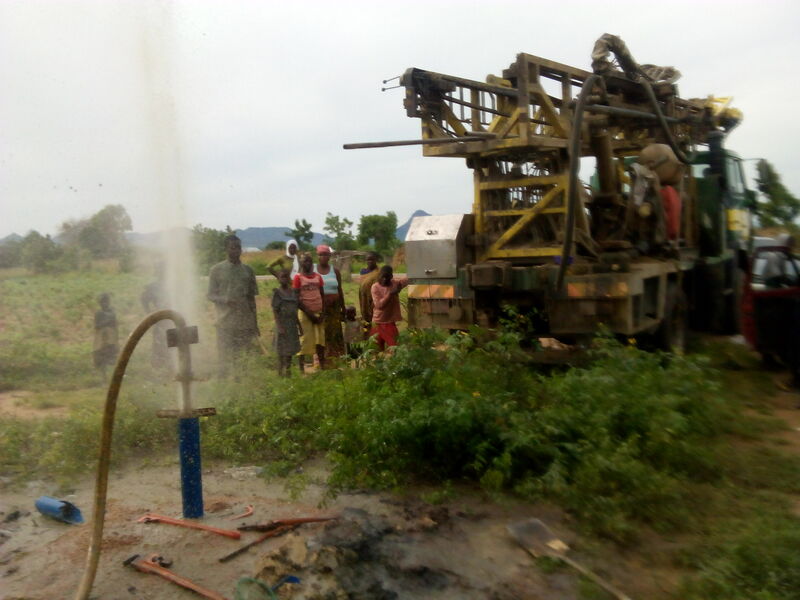 seen pictures of our well drilling in the village of Posishi Mongoro in Gombe State, Nigeria. On September 10th. we hit water and a new well was born. Michael’s efforts made this well possible. Poshishi Mongoro was first established in 1953. For the last 60 years the only sources of water for this village were ponds they shared with their animals. Ponds subject to animal waste and ground water run off during the rainy season. Death and disease was just a way of life. Like most places without access to potable water half of the children never lived to their fifth birthday and others dealt constantly with other types of diseases. For the people that survived this village was their whole world. Many of these people have only heard stories of wells, but never expected to have one. In the backstory to this well I told you about Samuel. 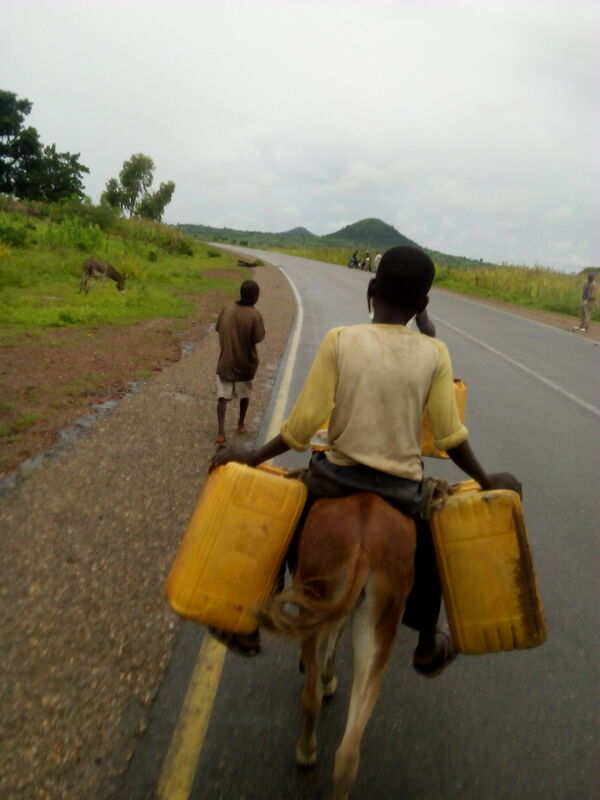 Every day’s adventure for Samuel was to put his Jerry cans on his donkey and ride in search of water. I hope you will go back and read that story. You see when you hear stories about thousands of people and their need for water it is often hard to relate, but when you see the personal story of lives that are changed, well it becomes real. I hope one day Michael and Samuel can meet. But even if they don’t I can assure you; there will be a time of celebration in heaven for what God can do through just one person. How about you? 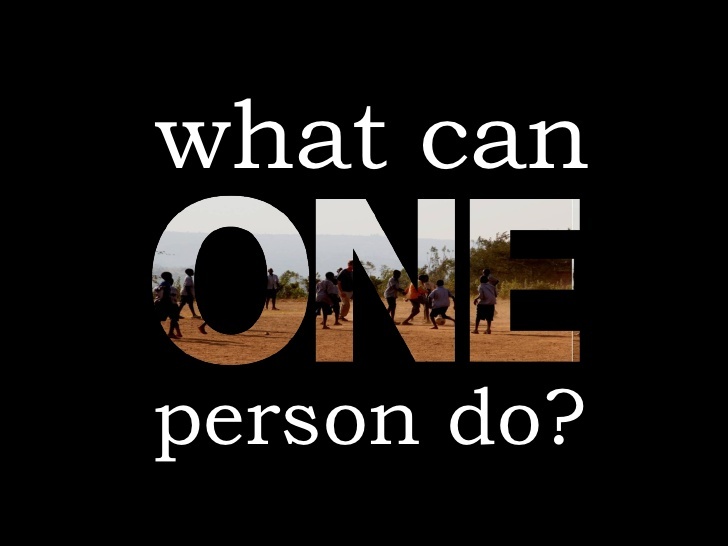 Think God might be able to use you to change thousands of lives or another Samuel? Got an idea? Need some assistance? We would love to help you fulfill your dream! Categories: Giving, New Wells, Water, Well Drilling | Tags: New Wells, Nigeria, Water, Wells | Permalink. 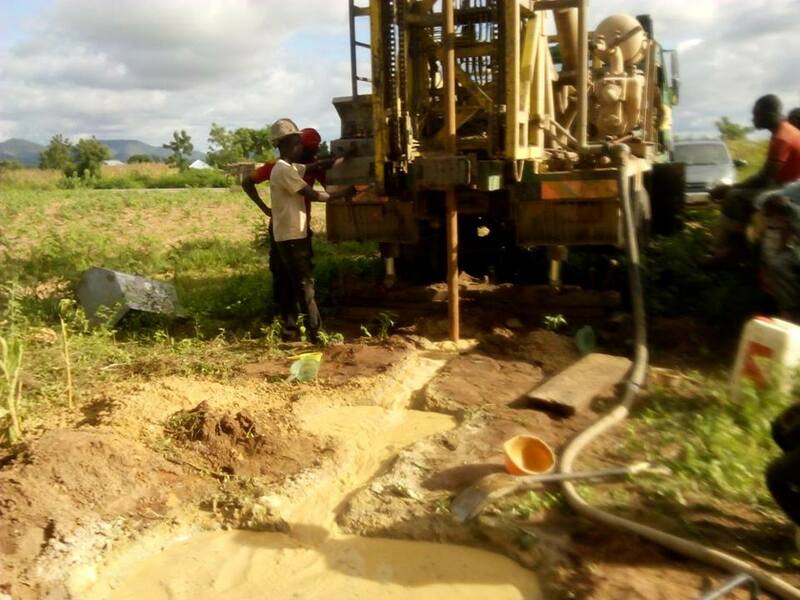 Drilling has begun in Powishi Mongoro village. The drilling rig has arrived in Powishi Mongoro village, and there will soon be a new borehole/well from which to draw water. I say new day because for as long as Samuel was big enough he has ridden his donkey carrying two “Jerry Cans” and gone in search of water. Samuel in search of water. sources dry up, the search for water begins, sometimes consuming the major part of the day. Samuel’s family is one of the lucky ones; they have a donkey. Many have to make these long journeys on foot. Jerry Cans holds five gallons of water and weighs about 40 lbs. Many from this village must travel two or more miles to and from there water source only to bring back water shared with animals and contaminated by animal waste and ground water runoff. 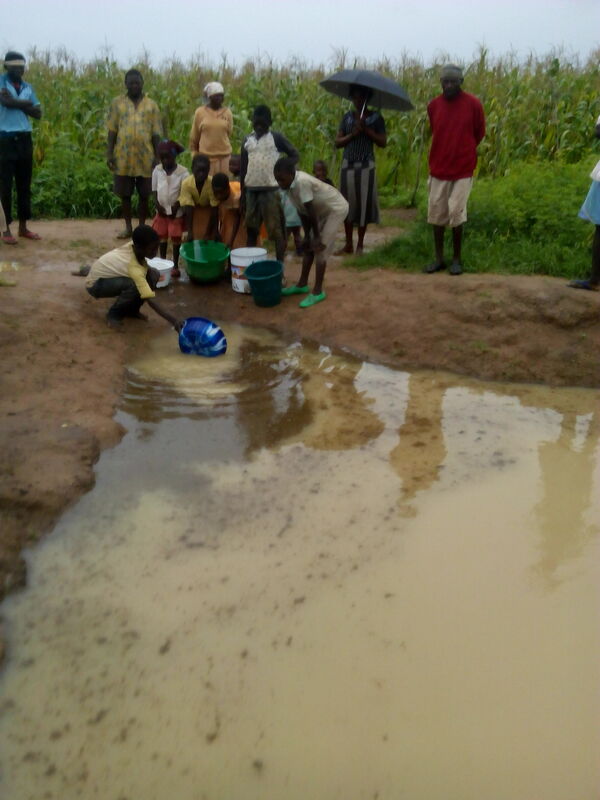 Cholera epidemics are common in these areas where there is no reliable source of potable water. Unsafe drinking water is a major reason that 50% of children die before their 5th birthday without access to safe drinking water. Here is Rambi Ayala report on the arrival of the well drilling machine. Categories: Child Mortality, New Wells, Well Drilling, Well Drilling Rig | Tags: New Wells, Nigeria, Water Born Disease, Wells | Permalink.